J. Bartoszewicz, M. Skolimowska, Preservation of classes of life distributions and stochastic orders under weighting Statistics and Probability Letters 76 (2006) 587-596. J. Bartoszewicz, M. Skolimowska, Preservation of stochastic orders under exponential mixtures Probability in the Engineering and Informational Sciences 20 (2006) 655-666. J. Bartoszewicz, M. Skolimowska, Weighting, likelihood ratio order and life distributions Applicationes Mathematicae 33, No. 3-4 (2006) . W. Bąk, A. Hulanicki, Remarks on spectra and $L^1$multipliers for convolution operators Proceedings of the American Mathematical Society 134, No. 5 (2006) . A. Bendikov, Hypoelliptic bi-invariant Laplacians on infinite dimensional compact groups Canadian Journal of Mathematics 58 (4) (2006) 691-725. P. Biler, A note on the paper of Y. Naito Self-Similar Solutions in Nonlinear PDE, Banach Center Publications 74 (2006) 33-40. P. Biler, L. Brandolese, Global existence versus blow up for some models of interacting particles Colloquium Mathematicum 106 (2006) 293-303. P. Biler, Kazimierz Urbanik (1930-2005) (translation of an article by Z. J. Jurek, J. Rosiński and W. A. Woyczyński) Wiadomości Matematyczne 42 (2006) 1-19. P. Biler, R. Stańczy, Mean field models for self-gravitating particles Folia Mathematica, Universitatis Lodziensis, University of Łódź Press 13 (2006) 3-19. P. Biler, R. Stańczy, Nonlinear diffusion models for self-gravitating particles Int. Series of Numerical Mathematics, Free Boundary Problems Theory and Applications, Birkhauser 154 (2006) 107-116. P. Biler, Radially symmetric solutions of a chemotaxis model in the critical case Proc. RIMS conference "Variational Problems and Related Topics, 2005" 1464 (2006) 107-121. P. Biler, G. Karch, Self-Similar Solutions in Nonlinear PDE Proceedings of a conference held in Będlewo, Banach Center Publications 74 (2006) 1-255. P. Biler, G. Karch, P. Laurencot, T. Nadzieja, The 8 pi-problem for radially symmetric solutions of a chemotaxis model in the discTopological Methods in Nonlinear Analysis 27 (2006) 133-147. P. Biler, G. Karch, P. Laurencot, T. Nadzieja, The 8 pi-problem for radially symmetric solutions of a chemotaxis model in the planeMathematical Methods in the Applied Sciences 29 (2006) 1563-1583. M. Bożejko, G. Fendler, A note on certain partial sum operatorsQuantum Probability, Banach Center Publications 73 (2006) 117-125. M. Bożejko, H. Yoshida, Generalized q-deformed random variablesQuantum Probability, Banach Center Publications 73 (2006) 127-140. M. Bożejko, K. Dykkema, F. Lehner, Isomorphism of Cayley graphs of surface groups Algebra and Discrete Mathematics (2006) . M. Bożejko, W. Bryc, On a class of free Levy laws related to a regression problem Journal of Functional Analysis 236 (2006) 59-77. M. Bożejko, W. Młotkowski, J. Wysoczański, Quantum Probability, Banach Center Publications, 73 Warszawa (2006) 1-438. M. Bożejko, A.D. Krystek, Ł.J. Wojakowski, Remarks on the r - and Delta-convolutions Mathematische Zeitschrift 253 (2006) 177-196. D. Buraczewski, E. Damek, A. Hulanicki, Asymptotic behavior of Poisson kernels on NA groups Communications in Partial Differential Equations 31 (2006) 1547-1589. D. Buraczewski, T. Martinez, J. Torrea, D. Urban, On the Riesz transform and weighted inequalities associated with the ultraspherical polynomials Journal d 'Analyse Mathematique 98 (2006) 113-143. B. Błaszczyszyn, F. Baccelli, P. Muhlethaler, An Aloha protocol for multihop mobile wireless networks IEEE Transactions on Information Theory 52 (2) (2006) 421-436. W. Czaja, J.J. Benedetto, A.M. Powell, J. Sterbenz, $(1, )$ Balian-Low Theorem Mathematical Research Letters 13 (2006) 467-474. W. Czaja, J.J. Benedetto, A.M. Powell, An optimal example for the Balian-Low uncertainty principle SIAM Journal on Mathematical Analysis 38, No. 1 (2006) 333-345. W. Czaja, G. Kutyniok, D. Speegle, Geometry of sets of parameters of wave packets Applied And Computational Harmonic Analysis 20, No. 1 (2006) 108-125. W. Czaja, A.M. Powell, Recent Developments in the Balian-Low Theorem Harmonic Analysis and Applications. In honor of John J. Benedetto (eds. Heil ,Christopher) Basel (2006) 79-100. W. Czaja, J. Zienkiewicz, Uncertainty principle for Gabor systems and the Zak transform Journal of Mathematics Physics 47 (2006) . M. Czystołowski, K. Kowalczyk, T. Niedzielski, Statistical procedure to analyse sparse data on the morphometric parameters of aeolian sand ripples obtained by the shadow cast technique Estuarine, Coastal and Shelf Science 70 (2006) 180-186. [ ] E. Damek, D. Buraczewski, A. Hulanicki, Asymptotic behavior of Poisson kernels on NA groups Communications in Partial Differential Equations 31 (2006) 1547-1589. E. Damek, A. Hulanicki, Asymptotic behavior of the invariant measure for a diffusion related to a NA group Colloquium Mathematicum 104, nr 2 (2006) 285-309. E. Damek, G. Garrigos, E. Harboure, J. Torrea, Weighted inequalities and a.e. convergence for Poisson integrals in light-cones Mathematische Annalen 336, no. 3 (2006) 727-746. A. Dąbrowski, Polski wynalazek Matematyka w Szkole 23 (2006) 31-37. A. Dąbrowski, Porządki w statystyce Matematyka, Społeczeństwo, Nauczanie 36 (2006) 4-9. A. Dąbrowski, Staniny i inne skale Matematyka w Szkole 21 (2006) 7-9. R. Duda, Matematyka a strukturalizm Struktura - Emergencja, Materiały IX Konferencji Metodologicznej Kraków (2006) 59-78. R. Duda, Przemówienie wygłoszone 13 stycznia 2006 roku na uroczystości pożegnania akademickiego Ś. P. Profesora Jana Mozrzymasa Przegląd Uniwersytecki 2 (199) (2006) 38. R. Duda, Ślązacy z wyboru - pionierzy matematyki w powojennym Wrocławiu w książce M. Hałub, A. Mańko-Matysiak (red. ), Śląska republika uczonych, tom 2 Wrocław (2006) 450-470. R. Duda, Uzupełnienie listy emigrantów Wiadomości Matematyczne 42 (2006) 177-180. R. Duda, Wrocławska Szkoła Matematyczna Wiadomości Matematyczne 42 (2006) 73-101. J. Dymara, M.W. Davis, T. Januszkiewicz, B. Okun, Cohomology of Coxeter groups with group ring coefficients II Algebraic and Geometric Topology 6 (2006) 1289-1318. J. Dymara, Thin buildings Geometry and Topology 10 (2006) 667-694. K. Dębicki, M. Uitert, Large buffer asymptotics for generalized processor sharing queues with Gaussian inputs Queueing Systems 54 (2) (2006) 111-129. K. Dębicki, Some properties of generalized Pickands constants Theory of Probability and its Applications 50 (2006) 290-298. Ś.R. Gal, J. Kędra, Sympletic Configurations International Mathematics Research Notices (2006) . B. Hajduk, A. Tralle, Diffeomorphisms and almost complex structures on tori Annals of Global Analysis and Geometry 28 (2006) 337-349. B. Hajduk, Journal of Symplectic Geometry 3 (4) Speccial Issue: Proceedings of the Conference on Symplectic Topology in Stare Jabłonki (2006) . B. Hajduk, R. Walczak, Symplectic forms invariant under free circle actions on 4-manifolds Transactions of the American Mathematical Society 358, No. 5 (2006) 1953-1970. W. Hebisch, G. Mauceri, S. Meda, Spectral multipliers for sublaplacians with drift on Lie groups Mathematische Zeitschrift 251, no. 4 (2006) 899-927. A. Hoffmann, Nowa książka do nauczania matematyki Matematyka 3 (2006) 183-184. [ ] A. Hulanicki, D. Buraczewski, E. Damek, Asymptotic behavior of Poisson kernels on NA groups Communications in Partial Differential Equations 31 (2006) 1547-1589. [ ] A. Hulanicki, E. Damek, Asymptotic behavior of the invariant measure for a diffusion related to a NA group Colloquium Mathematicum 104, nr 2 (2006) 285-309. [ ] A. Hulanicki, W. Bąk, Remarks on spectra and $L^1$multipliers for convolution operators Proceedings of the American Mathematical Society 134, No. 5 (2006) . A. Iwanow, Strongly bounded automorphism groups Colloquium Mathematicum 105 (2006) 57-67. A. Iwanow, Strongly determined types and G-compactness Fundamenta Mathematicae 191 (2006) 227-247. A. Janicki, Computer Construction of Quasi Optimal Portfolio for Stochastic Models with Jumps of Financial Market Lecture Notes in Computer Science 3994 (2006) 301-307. [ ] T. Januszkiewicz, M.W. Davis, J. Dymara, B. Okun, Cohomology of Coxeter groups with group ring coefficients II Algebraic and Geometric Topology 6 (2006) 1289-1318. T. Januszkiewicz, J. Świątkowski, Simplicial nonpositive curvaturePublications Mathematiques de l' IHES 104 (2006) 1-85. Z.J. Jurek, Cauchy transforms of measures viewed as some functionals of Fourier transforms Probability and Mathematical Statistics 26, no. 1 (2006) 187-200. G. Karch, J. Dolbeault, Large time behaviour of solutions to nonhomogeneous diffusion equations Banach Center Publications 74 (2006) 133-147. [ ] G. Karch, P. Biler, Self-Similar Solutions in Nonlinear PDE Proceedings of a conference held in Będlewo, Banach Center Publications 74 (2006) 1-255. [ ] G. Karch, P. Biler, P. Laurencot, T. Nadzieja, The 8 pi-problem for radially symmetric solutions of a chemotaxis model in the discTopological Methods in Nonlinear Analysis 27 (2006) 133-147. [ ] G. Karch, P. Biler, P. Laurencot, T. Nadzieja, The 8 pi-problem for radially symmetric solutions of a chemotaxis model in the planeMathematical Methods in the Applied Sciences 29 (2006) 1563-1583. A. Kasprzyk, W. Szczotka, Covariance structure of Markov processes in wide sense of order k>1 Applicationes Mathematicae 33, No. 2 (2006) 129-143. A. Kisielewicz, A. Cherubini, P. Gawrychowski, B. Piochi, A combinatorial approach to collapsing words Lecture Notes in Computer Science 4162 (2006) 256-266. A. Kisielewicz, M. Gutan, Rings and semigroups with permutable zero products Journal of Pure and Applied Algebra 3 (2006) 355-369. I. Kopocińska, B. Kopociński, Cummulative processes in basketball games Applicationes Mathematicae 33,1 (2006) 61-69. I. Kopocińska, B. Kopociński, Maximum length of series in a Markovian binary sequences with an application to the description of basketball games Applicationes Mathematicae 33,1 (2006) 61-69. I. Kopocińska, J. Dembiński, B. Kopociński, Two tests for synergy of player in basketball games International Journal of Mathematics and Mathematical Sciences 5,1 (2006) 41. [ ] B. Kopociński, I. Kopocińska, Cummulative processes in basketball games Applicationes Mathematicae 33,1 (2006) 61-69. [ ] B. Kopociński, I. Kopocińska, Maximum length of series in a Markovian binary sequences with an application to the description of basketball games Applicationes Mathematicae 33,1 (2006) 61-69. [ ] B. Kopociński, J. Dembiński, I. Kopocińska, Two tests for synergy of player in basketball games International Journal of Mathematics and Mathematical Sciences 5,1 (2006) 41. P. Kowalski, A. Pillay, On algebraic sigma-groups Transactions of the American Mathematical Society 359 (2006) 1325-1337. P. Kowalski, A. Pillay, Quantifier elimination for algebraic D-groupsTransactions of the American Mathematical Society 358 (2006) 167-181. J. Kraszewski, Matura 2006 - było łatwiej ? Matematyka 7 (2006) 400-407. J. Kraszewski, M. Kysiak, Productivity versus Weak Fubini Property Acta Mathematica Hungarica 111 (4) (2006) 347-353. J. Kraszewski, Wstęp do matematyki Wydawnictwa Naukowo-Techniczne Warszawa (2006) . K. Krupiński, Profinite structures interpretable in fields Annals of Pure and Applied Logic 142 (2006) 19-54. K. Krupiński, F. Wagner, Small profinite groups and rings Journal of Algebra 306 (2006) 494-506. A.D. Krystek, Remarks on the Boolean convolution and Kerov's alfa-transformation Quantum Probability, Banach Center Publications 73 (2006) 285-298. [ ] A.D. Krystek, M. Bożejko, Ł.J. Wojakowski, Remarks on the r - and Delta-convolutions Mathematische Zeitschrift 253 (2006) 177-196. I. Królak, Factoriality of von Neumann algebras connected with general commutation relations - finite dimensional case Quantum Probability, Banach Center Publications 73 (2006) 277-284. R. Kulik, H. Daduna, C. Sauer, R. Szekli, Isotone Differences Ordering for Unreliable Markovian Queueing Networks Probability in the Engineering and Informational Sciences 20 (2006) 575-594. R. Kulik, H. Daduna, C. Sauer, M. Schwarz, R. Szekli, M/M/1 Queueing systems with inventory Queueing Systems 54 (2006) 55-78. P. Lorek, M. Dynia, J. Kutyłowski, F. Meyer auf der Heide, Maintaining Communication Between an Explorer and and a Base Station in Proceedings of the 1st IFIP Int. Conference on Biologically Inspired Cooperative Computing 216 (2006) 137-146. R. Marszałek, W. Narkiewicz, Finite polynomial orbits in quadratic ringsRamanujan Journal 12 (2006) 91-130. M. Mikołajczyk, Czy można nauczyć pomysłowości ? Matematyka, Społeczeństwo, Nauczanie 37 (2006) 1-5. M. Mikołajczyk, Domino Magazyn Miłośników Matematyki 2/06 (2006) 23-26. M. Mikołajczyk, Drzewo języków Magazyn Miłośników Matematyki 1/06 (2006) 19-22. M. Mikołajczyk, Jak rosną słoneczniki ? Magazyn Miłośników Matematyki 2/06 (2006) 15-19. M. Mikołajczyk, A. Morawiec, Mr MAT, Mały ilustrowany słownik terminów matematycznych, cz. XL Maths at Work Matematyka 8 (2006) 61-62. M. Mikołajczyk, A. Morawiec, Mr MAT, Mały ilustrowany słownik terminów matematycznych, cz. XLI Stock Exchange Matematyka 9 (2006) 61-62. M. Mikołajczyk, A. Morawiec, Mr MAT, Mały ilustrowany słownik terminów matematycznych, cz. XLII Devices for ComputationsMatematyka 10 (2006) 61-62. M. Mikołajczyk, A. Morawiec, Mr MAT, Mały ilustrowany słownik terminów matematycznych, cz. XXXIII Converting Fractions Matematyka 1 (2006) 61-62. M. Mikołajczyk, A. Morawiec, Mr MAT, Mały ilustrowany słownik terminów matematycznych, cz. XXXIV Calculations with IntegersMatematyka 2 (2006) 61-62. M. Mikołajczyk, A. Morawiec, Mr MAT, Mały ilustrowany słownik terminów matematycznych, cz. XXXIX Banking Business Matematyka 7 (2006) 61-62. M. Mikołajczyk, A. Morawiec, Mr MAT, Mały ilustrowany słownik terminów matematycznych, cz. XXXV Calculations with FractionsMatematyka 3 (2006) 61-62. M. Mikołajczyk, A. Morawiec, Mr MAT, Mały ilustrowany słownik terminów matematycznych, cz. XXXVI Per cent Matematyka 4 (2006) 61-62. M. Mikołajczyk, A. Morawiec, Mr MAT, Mały ilustrowany słownik terminów matematycznych, cz. XXXVII Interest Matematyka 5 (2006) 61-62. M. Mikołajczyk, A. Morawiec, Mr MAT, Mały ilustrowany słownik terminów matematycznych, cz. XXXVIII Trade/Commerce Matematyka 6 (2006) 61-62. M. Mikołajczyk, Zrób sobie heptadekagon Magazyn Miłośników Matematyki 4/06 (2006) 12-16. [ ] A. Morawiec, M. Mikołajczyk, Mr MAT, Mały ilustrowany słownik terminów matematycznych, cz. XL Maths at Work Matematyka 8 (2006) 61-62. [ ] A. Morawiec, M. Mikołajczyk, Mr MAT, Mały ilustrowany słownik terminów matematycznych, cz. XLI Stock Exchange Matematyka 9 (2006) 61-62. [ ] A. Morawiec, M. Mikołajczyk, Mr MAT, Mały ilustrowany słownik terminów matematycznych, cz. XLII Devices for Computations Matematyka 10 (2006) 61-62. [ ] A. Morawiec, M. Mikołajczyk, Mr MAT, Mały ilustrowany słownik terminów matematycznych, cz. XXXIII Converting Fractions Matematyka 1 (2006) 61-62. [ ] A. Morawiec, M. Mikołajczyk, Mr MAT, Mały ilustrowany słownik terminów matematycznych, cz. XXXIV Calculations with Integers Matematyka 2 (2006) 61-62. [ ] A. Morawiec, M. Mikołajczyk, Mr MAT, Mały ilustrowany słownik terminów matematycznych, cz. XXXIX Banking Business Matematyka 7 (2006) 61-62. [ ] A. Morawiec, M. Mikołajczyk, Mr MAT, Mały ilustrowany słownik terminów matematycznych, cz. XXXV Calculations with Fractions Matematyka 3 (2006) 61-62. [ ] A. Morawiec, M. Mikołajczyk, Mr MAT, Mały ilustrowany słownik terminów matematycznych, cz. XXXVI Per cent Matematyka 4 (2006) 61-62. [ ] A. Morawiec, M. Mikołajczyk, Mr MAT, Mały ilustrowany słownik terminów matematycznych, cz. XXXVII Interest Matematyka 5 (2006) 61-62. [ ] A. Morawiec, M. Mikołajczyk, Mr MAT, Mały ilustrowany słownik terminów matematycznych, cz. XXXVIII Trade/Commerce Matematyka 6 (2006) 61-62. K. Musiał, L. Di Piazza, A decomposition theorem for compact-valued Henstock integral Monatshefte fur Mathematik 148 (2006) 119-126. K. Musiał, M.R. Burke, N.D. Macheras, W. Strauss, Category product densities and liftings Topology and Its Applications 153 (2006) 1164-1191. K. Musiał, L. Di Piazza, Characterizations of Kurzweil-Henstock-Pettis integrable functions Studia Mathematica 176 (2006) 159-176. K. Musiał, B. Bongiorno, L. Di Piazza, Kurzweil-Henstock and Kurzweil-Henstock-Pettis integrability of strongly measurable functionsMathematica Bohemica 131 (2006) 211-223. [ ] W. Młotkowski, M. Bożejko, J. Wysoczański, Quantum Probability, Banach Center Publications, 73 Warszawa (2006) 1-438. W. Młotkowski, Some class of polynomial hypergroups Quantum Probability, Banach Center Publications 73 (2006) 357-362. [ ] W. Narkiewicz, R. Marszałek, Finite polynomial orbits in quadratic ringsRamanujan Journal 12 (2006) 91-130. W. Narkiewicz, Polynomial cycles in cubic fields of negative discriminant Functiones et Approximatio, tom na 75-lecie prof. E. Wirsinga 35 (2006) 261-269. L. Newelski, M. Petrykowski, Weak generic types and coverings of groups I Fundamenta Mathematicae 191 (2006) 201-225. K. Omiljanowski, Mnogość. Kwadraty w .... Matematyka 8 (2006) 32-40. Z. Palmowski, F. Avram, M. Pistorius, A two-dimensional ruin problem on the positive quadrant, with exponential claims: Feynman-Kac formula, Laplace transform and its inversion Monografias del Seminario Matematico Garcia de Galdeano 33 (2006) 199-205. Z. Palmowski, Aproksymacja prawdopodobieństwa ruiny firmy ubezpieczeniowej w dyfuzyjnym modelu Coxa Prace matematyczne Akademii Ekonomicznej we Wrocławiu 1108 (2006) 34-54. Z. Palmowski, T. Rolski, On the exact asymptotics of the busy period in GI/G/1 queues Advances in Applied Probability 38 (3) (2006) 792-803. Z. Palmowski, A. Kyprianou, Quasi-stationary distributions for Levy processes Bernoulli 12 (4) (2006) 571-581. J. Pawlikowski, K. Ciesielski, On additive almost continuous functions under CPA Journal of Applied Analysis 11 (2) (2006) 153-170. [ ] M. Petrykowski, L. Newelski, Weak generic types and coverings of groups I Fundamenta Mathematicae 191 (2006) 201-225. [ ] T. Rolski, Z. Palmowski, On the exact asymptotics of the busy period in GI/G/1 queues Advances in Applied Probability 38 (3) (2006) 792-803. [ ] M. Skolimowska, J. Bartoszewicz, Preservation of classes of life distributions and stochastic orders under weighting Statistics and Probability Letters 76 (2006) 587-596. [ ] M. Skolimowska, J. Bartoszewicz, Preservation of stochastic orders under exponential mixtures Probability in the Engineering and Informational Sciences 20 (2006) 655-666. [ ] M. Skolimowska, J. Bartoszewicz, Weighting, likelihood ratio order and life distributions Applicationes Mathematicae 33, No. 3-4 (2006) . [ ] R. Stańczy, P. Biler, Mean field models for self-gravitating particles Folia Mathematica, Universitatis Lodziensis, University of Łódź Press 13 (2006) 3-19. [ ] R. Stańczy, P. Biler, Nonlinear diffusion models for self-gravitating particles Int. Series of Numerical Mathematics, Free Boundary Problems Theory and Applications, Birkhauser 154 (2006) 107-116. R. Stańczy, On some parabolic-elliptic system with self-similar pressure term Self-Similar Solutions in Nonlinear PDE, Banach Center Publications 74 (2006) 205-215. [ ] W. Szczotka, A. Kasprzyk, Covariance structure of Markov processes in wide sense of order k>1 Applicationes Mathematicae 33, No. 2 (2006) 129-143. W. Szczotka, Weak convergence of mutually independent $X^B_n$ and $X^A_n$ under weak convergence of $X _nX^B_n - X^A_n$Applicationes Mathematicae 33, No. 1 (2006) 41-49. R. Szekli, H. Daduna, Dependence ordering for Markov processes on partially ordered spaces Journal of Applied Probability 43 (2006) 1-22. [ ] R. Szekli, H. Daduna, R. Kulik, C. Sauer, Isotone Differences Ordering for Unreliable Markovian Queueing Networks Probability in the Engineering and Informational Sciences 20 (2006) 575-594. [ ] R. Szekli, H. Daduna, R. Kulik, C. Sauer, M. Schwarz, M/M/1 Queueing systems with inventory Queueing Systems 54 (2006) 55-78. P. Śniady, Asymptotics of characters of symmetric groups, genus expansion and free probability Discrete Mathematics 306 (7) (2006) 624-665. P. Śniady, Gaussian fluctuations of characters of symmetric groups and of Young diagrams Probability Theory and Related Fields 136, no. 2 (2006) 263-297. P. Śniady, Gaussian fluctuations of representations of wreath productsInfinite Dimensional Analysis, Quantum Probability and Related Topics (2006) 529-546. P. Śniady, Generalized Cauchy identities, trees and multidimensional Brownian motions. Part I: bijective proof of generalized Cauchy identities Electronic Journal of Combinatorics 13 (1) (2006) . P. Śniady, B. Colllins, Integration with respect to the Haar measure on unitary, orthogonal and symplectic groups Communications in Mathematical Physics 264 (2006) 773-795. P. Śniady, J.A. Mingo, R. Speicher, Second Order Freeness and Fluctuations of Random Matrices: II. Unitary Random Matrices Advances in Mathematics 209, no. 1 (2006) 212-240. J. Świątkowski, Filling radius and simplicial nonpositive curvatureMathematisches Forschungsinstitut Oberwolfach, Topological Methods in Group Theory No.19 (2006) 21-22. J. Świątkowski, Regular path systems and (bi)automatic groupsGeometriae Dedicata 118 (2006) 23-48. [ ] J. Świątkowski, T. Januszkiewicz, Simplicial nonpositive curvaturePublications Mathematiques de l' IHES 104 (2006) 1-85. K. Topolski, K. Lukierska-Walasek, p-adic description of hierarchical systems dynamics Proceedings of the 2nd International Conference on p-Adic Mathematical Physics, 2005 826 (2006) 81-90. K. Topolski, K. Lukierska-Walasek, Random walk on p-adics and hierarchical systems Physical Review B 73 (2006) 54419(1)-9. [ ] R. Walczak, B. Hajduk, Symplectic forms invariant under free circle actions on 4-manifolds Transactions of the American Mathematical Society 358, No. 5 (2006) 1953-1970. W. Więsław, Akademia Zamojska (1594-1784) w tomie "Wokół Bernoullich", Materiały z XIX Ogólnopolskiej Szkoły Historii Matematyki, Lublin (2006) 11-15. W. Więsław, Jan Śniadecki (1756-1830) - nie tylko matematykWiadomości Matematyczne 10 (2006) 579-589. W. Więsław, Jan Śniadecki - rektor Uniwersytetu Wileńskiego w tomie "Jan Śniadecki 1756-1830, 250 rocznica urodzin", Materiały konferencyjne, Żnin (2006) 29-49. W. Więsław, Jana Śniadeckiego Rachunek Zdarzeń i Przypadków Losu z roku 1790 w tomie "Wokół Bernoullich", Materiały z XIX Ogólnopolskiej Szkoły Historii Matematyki, Lublin (2006) 109-129. W. Więsław, Joseph Louis Lagrange (1736-1813) - kontynuator EuleraMatematyka 8 (2006) 451-456. W. Więsław, Leonhard Euler (1707-1783) - tytan pracy Matematyka 6 (2006) 322-331. W. Więsław, Matematyka wileńska za czasów Adama Mickiewicza. Archiwalia Wiadomości Matematyczne 42 (2006) 1-25. W. Więsław, Nieznane rękopisy i notatki Jana Śniadeckiego w Archiwum Historycznym Wilna Roczniki Biblioteczne 50 (2006) 167-181. W. Więsław, Pierwsze polskie teksty z rachunku prawdopodobieństwaw tomie "Wokół Bernoullich", Materiały z XIX Ogólnopolskiej Szkoły Historii Matematyki, Lublin (2006) 101-108. W. Więsław, Reform of education in Poland in XVIII centuryMathematik und Unterricht IV, Mathematik im Wandel Berlin (2006) 202-209. W. Więsław, W sprawie listu Stanisława Augusta do EuleraWiadomości Matematyczne 42 (2006) 220-221. Ł.J. Wojakowski, Moments of measure orthogonalizing the 2-dimensional Chebyshev polynomials Quantum Probability, Banach Center Publications 73 (2006) 429-433. [ ] Ł.J. 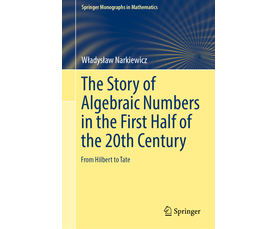 Wojakowski, M. Bożejko, A.D. Krystek, Remarks on the r - and Delta-convolutions Mathematische Zeitschrift 253 (2006) 177-196. A. Wojciechowska-Waszkiewicz, Jak napełniać stożek wodąMatematyka 10 (2006). J. Wróblewski, 1729 Matematyka, Społeczeństwo, Nauczanie 36 (2006). [ ] J. Wysoczański, M. Bożejko, W. Młotkowski, Quantum Probability, Banach Center Publications, 73 Warszawa (2006) 1-438. J. Wysoczański, The von Neumann algebra associated with an infinite number of t-free noncommutative gaussian random variables Quantum Probability, Banach Center Publications 73 (2006) 435-438. [ ] J. Zienkiewicz, W. Czaja, Uncertainty principle for Gabor systems and the Zak transform Journal of Mathematics Physics 47 (2006). S. Żeberski, On weakly measurable functions Bulletin of the Polish Academy of Sciences, Mathematics 53 (2006) 421-428.